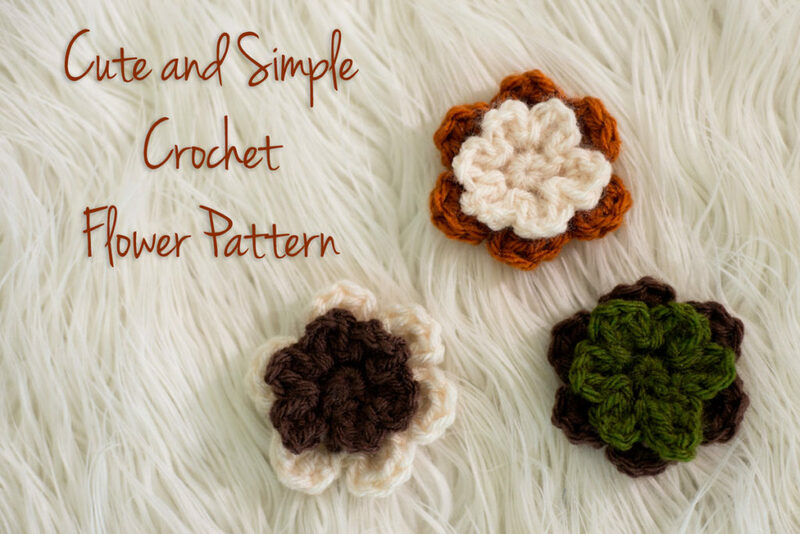 With hats, headbands, and all sorts of other knit and crochet accessories officially coming back into season here in Colorado, now seems like the perfect time to share this free crochet flower pattern and tutorial! This gorgeous flower makes a beautiful embellishment for any project. It’s quick and simple to make, and my video tutorial will walk you right through it! In Order to Get The Written Pattern Please Pay With A Share! Thanks so much for sending me this adorable little flower pattern! Thank you for the beautiful flower patterns. Congratulations on your pregnancy. Thank you for the flower pattern, it looks lovely! Thanks for the flower pattern, Melody but really wanted to let you know how happy I am for you! Will keep you and your little guy in my prayers. Congratulations! May it be healthy and all the best to you. Thank you for the lovely pattern as well. Thank you for sharing your great blessings with us and your patterns. I was just told myself that it’s not what we want, but Gods will for us. I knew that. Just needed the reminder. God bless you and your family! Thanks for the video of the crochet flowers. Congratulations on your pregnancy. Thank you for the lovely pattern. Also, and most importantly, Congratulations to you and your family on the new addition. Congratulations! Thank you for the flower patterns and thank you for all of work you put into the Mcal’s . perfect for hats and mittens. Very lovely and very excited for you…….. keep well…………. keep happy….. it is a wonderful curve ball and we are all so very proud of all that you do. Take good care of yourself and your family and hubby. Definitely lots to be thankful for including knowing that you have created a community where LOVE is strong and Hearts care about each other, the way our world should be. Thank you Melody. Congratulations on your new addition to your family. Thank you for the flower patterns. Congratulations on your baby boy! Congratulations! Such a great gift! Thank you for the pattern. What grand news for you and your hubby! Congrats! Yes God has plans for that little guy! You’re all very blessed! Thx for the flower pattern, God’s blessings!!! Congratulations!! Very exciting for your family!! Thanks for the pattern!! What a great gift from GOD! Congrats Melody! Congratulations on the new addition, God bless. Congratulations!! This is wonderful news. Take good care of yourself. Thank you for all you do. Congratulations and thank you for the pattern. Congratulations. God sends us what we need in life! Congratulations on the new baby. It is truly one of the wonders of the world. It is a wonderful gift. I know you and your family are very excited. The pattern for the flowers are beautiful. Congrats on the new addition. What a wonderful blessing. Thanks for the flower pattern. Congratulations!! A baby is such a blessing. God bless you and your family. Such wonderful news! A little boy to round out your beautiful family. I am so thrilled for you. Take good care of yourself. Thank you for your lovely flower pattern and for sharing it with us. Congratulations. Great little baby you’ve got there. Thanks for such a clear video for a new crocheter but an old ultrasound tech. Congratulations, and take good care of yourself! Love the flower pattern. Congrats on your pregnancy. Wishing you all the best. Thanks for the pattern as well I’m always on the lookout for new flower patterns. Congrats on the new family member coming!! Thank you for the pattern! Congrats Melody, I have had a feeling for a while that you were expecting a new bundle of joy!! Im so happy for you I cant wait to see him and what cute little boy patterns your going to come up with now hehe! Take Care of yourself and thanks for all the hard work you do! That is wonderful news!! I wish you all good thoughts and prayers for you and your pregnancy and family!!! Thanks for sharing this good news with us!! Congrats!!! Everything will be fine. Many blessings. Congratulations on you new little one. They are all blessings. Congratulations Melody! I am so happy for you! God has blessed you! Please take good care of yourself and that wee little one! You and your family will be in my prayers! And thank you for the crocheted flower pattern! It is really cute! Thanks for sharing the news with us and for all of your hard work! I really appreciate everything you do! Congratulations! This is wonderful news! God works in his time not ours! So very happy for you and your family. Thank you for the little flower pattern. I can see it trimming so many different items. Congratulations on your new blessing!!! My first granddaughter has just been born and I hope to make her some headbands with the flowers. I’ll pray for everything to turn well for you! Congratulations on your new family members. So glad for you and your family! My daughter is having her 3rd baby in April! Thank you for the flower pattern. Congratulations!!!! God has a great sense of humor, number three will be a wonderful addition to the family and bring gladness and joy! So happy for your news! So very excited for you. God Bless you with a healthy full term pregnancy! Congratulations on your new blessing! So excited and happy for you! Thank you for the pattern! Just wanted to say congratulation on the new baby boy. Also thank you for the pattern. March is a wonderful time to have a little one. God does rule our lives. God bless all your lives. Thank you for the pattern! Congratulations on the new baby! My daughter is due in March also. Dear Melody, first I want to say Congratulations to you and your hubby with your pragnancy of baby boy. I am so happy for you. God Bless you and your family and thanks for your flowers pattern you have shared. I would love to have this flower pattern, they are really neat. I will appreciate the pattern.